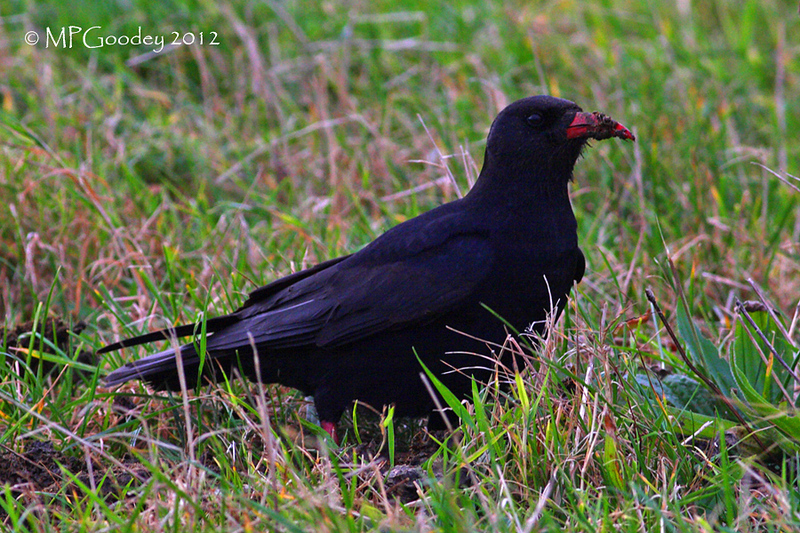 A chough on St Martin’s, Isles of Scilly yesterday (30th October) was only the third seen in the islands since 1950. The arrival was quickly reported by Rare Bird Alert and it’s movements can be followed here and on the website of The Isles of Scilly Bird Group. St Martin’s is the northernmost of the larger Scilly Isles and approximately 45km south of Cornwall. Not ringed, this chough is unlikely to have come from the Cornwall population and the strong north-westerly winds on Tuesday may suggest an Irish origin. 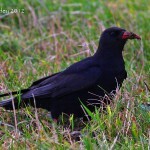 The chough was seen again later on Tuesday at Peninnis Head on St Mary’s where it has been feeding in the fields. The visitor seemed more settled today despite the attentions of the local carrion crows and a threatening peregrine. Interestingly, Cornish Choughs report several other exciting sightings this week including birds at Porth Island, Newquay, over the weekend and on Lundy Island yesterday. Both Cornwall and Jersey are hoping the Scilly bird will make a move to our respective areas!